I overuse this cloak. Really. It’s my go-to when a character needs to have a certain presence, or when I don’t want to use shoulders, but still need a bit of balance up top. The Cloak of the Silver Birch has a cool heft to it. It’s a cloak that means business. 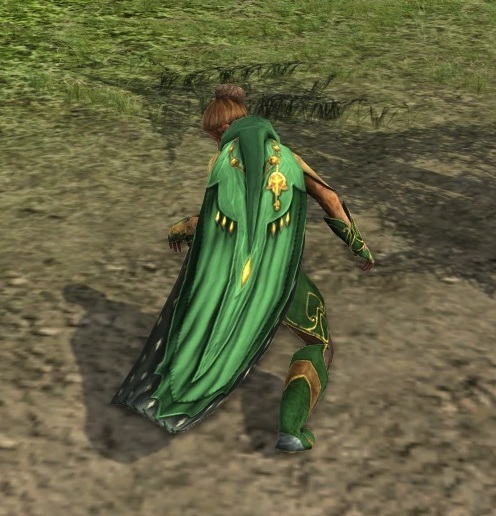 It also comes in a hooded version, and you find both in the LOTRO Store. Dyes and the Silver Birch are an interesting thing: the hood and center of the cloak are dyeable, but the patterned edges – or lining, as I tend to think of it – are not. The lining remains a greyish green no matter what. This gives you some really nifty options. Lotro-wiki shows it in white, while this great outfit by Cosmetic Lotro features a striking burgundy-and-sage combination. 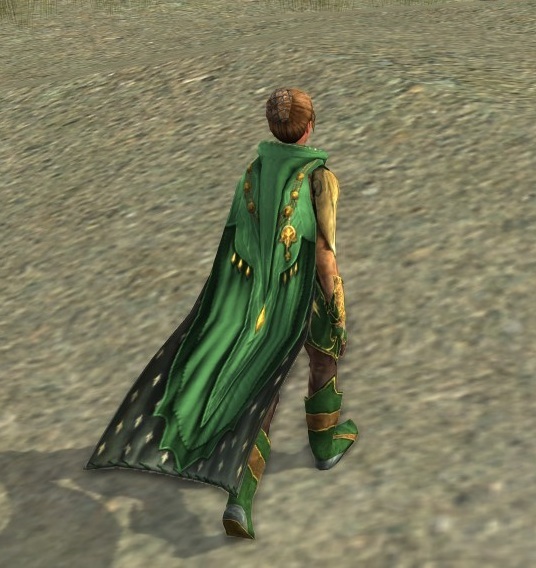 I decided to go green, and to use the Cloak of the Silver Birch with the Golden Wood set from Lothlorien. I sorted your stupid pots already! Seriously, how hard is it to stick the small pieces with the small pieces and the big ones with the big ones? A walk across the sands. Mm, yeah. 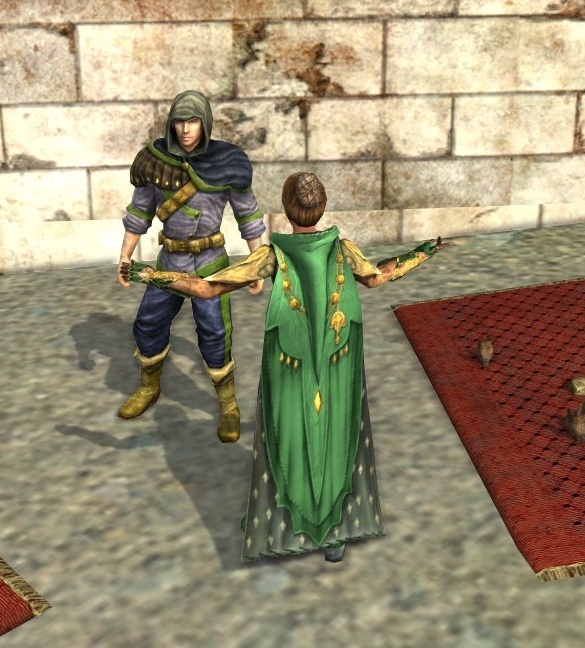 I use the LOTRO Store’s twitter feed to keep informed about sales. Sales rule! Wow, the burgundy and sage one you linked is truly striking! Lovely combination. I love how daring her combinations are!